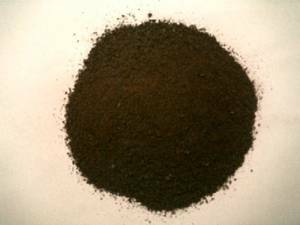 Blood Meal fertilizer (BM) is made of dried and powdered blood of animals (usually cattle), and is used as a nitrogen-rich fertilizer for plants. It has been utilized by organic gardeners for years. The proteins in this fertilizer are broken down to ammonia by soil bacteria and make it an effective source of nitrogen. Caution should be used though, when the weather is warm and the conditions are moist, the decomposition can be too rapid, which could damage delicate roots and harm the entire plant.